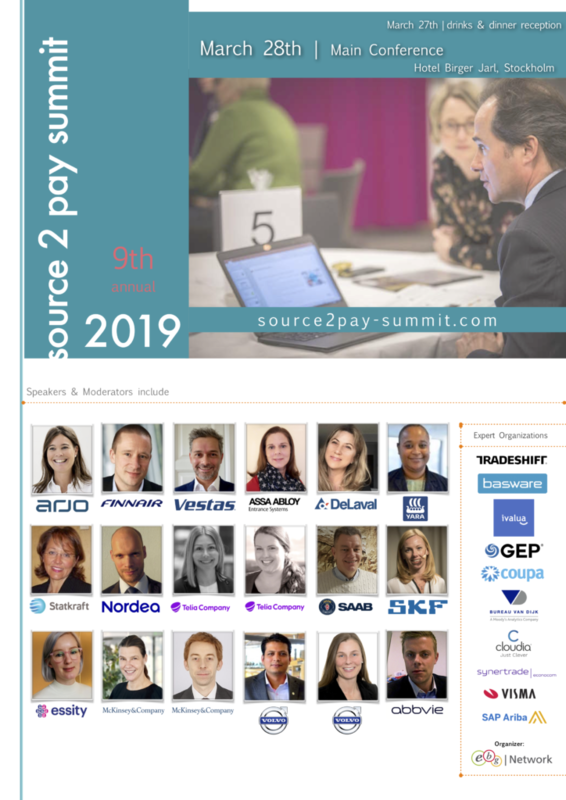 The aim with Source 2 Pay Summit is to enable as many as is possible to exchange ideas, know how and concrete experiences. Below we will publish Theme Discussion topics one by one, you should register shortly in order to be first in line when sending out the Theme Discussion choice link! You can join 4 Theme Discussions during the day. Many run in parallel so bring 1-2 colleagues! If a session has the add on “benchmark” it will be an open discussion, not a “how to”-session i.e together you discuss common challenges and opportunities. A conference day with | Network consist of key note presentations and round table discussions (Theme Discussions). The idea is to give you a smorgasbord of topics most can relate to depending on where in your end to end process you have your focus.